It turns out cute AND affordable can go together! 1. A vintage sleeper sofa that will make you feel so fancy with its Victorian-style legs and tufted, velour upholstery that I expect you to start having your friends address you as, your majesty. Many reviewers mention that it comfortably fits one person, but two people can be a tight squeeze. 2. A simple end table for adding some easy storage in your living room. The traditional style makes it perfect for all types of home aesthetics. 3. An oval mirror with a subtle scalloped detailing around the edges because bathrooms *can* (and deserve to) feel elegant. 4. A canopy bed frame that'll trick you into thinking you're on vacation at a fancy resort even though you're cozied up right in your bedroom — which doesn't sound too bad, tbh. 5. A multipurpose kitchen cart to display your finest wines and give you extra space for all that food prepping you're going to start doing thanks to this! 6. 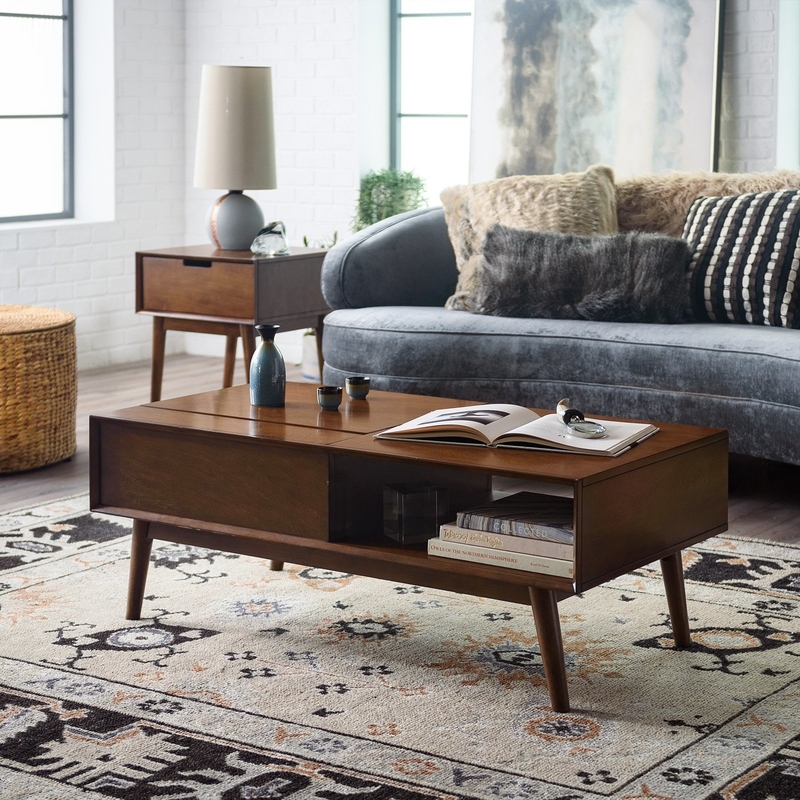 A mid-mod coffee table that can partially lift up so you never have to leave the couch (except to answer the door to get your food delivery, of course). You can also use the lift top and cubby to store all your living room items. 7. A ladder shelf for holding books, frames, knick knacks, and other things that don't have a set home, until now! 8. A ~dreamy~ metal headboard that'll, without a doubt, be your bedroom's statement piece. 9. A modern farmhouse cabinet with a sliding barn door (!!!) 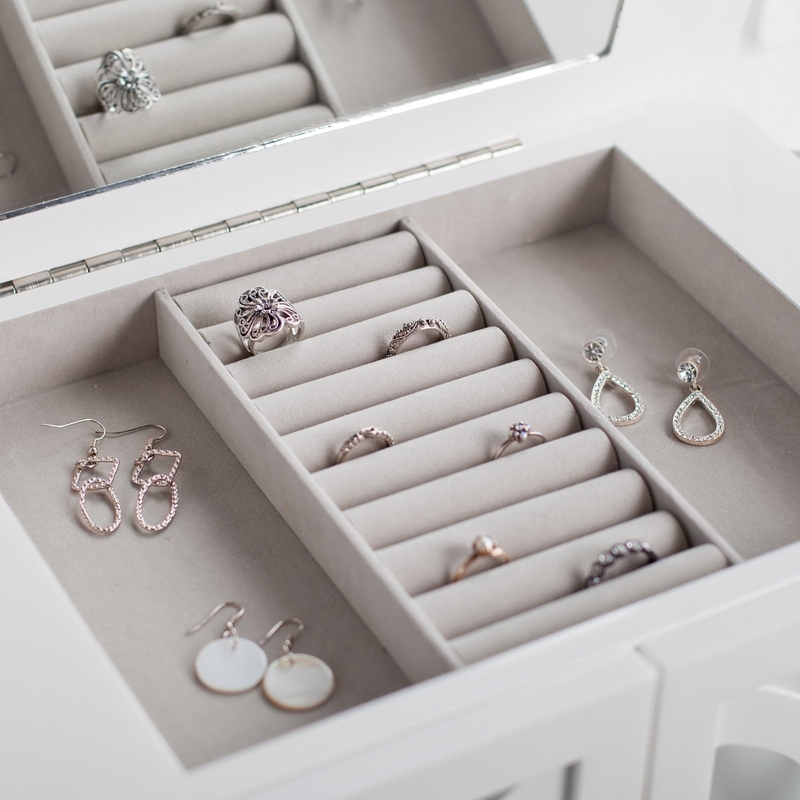 because you don't have to sacrifice style in the name of storage. 10. A no-frills entertainment stand you can easily style up with baskets and other decor. 11. An adorable blush pink vanity set you need so you actually want to get up and get ready in the morning. 12. AND an ornate accent mirror to go with it! 13. A set of two barstools that you can DIY to match your kitchen (go paint!) or leave as is for a rustic touch. 14. 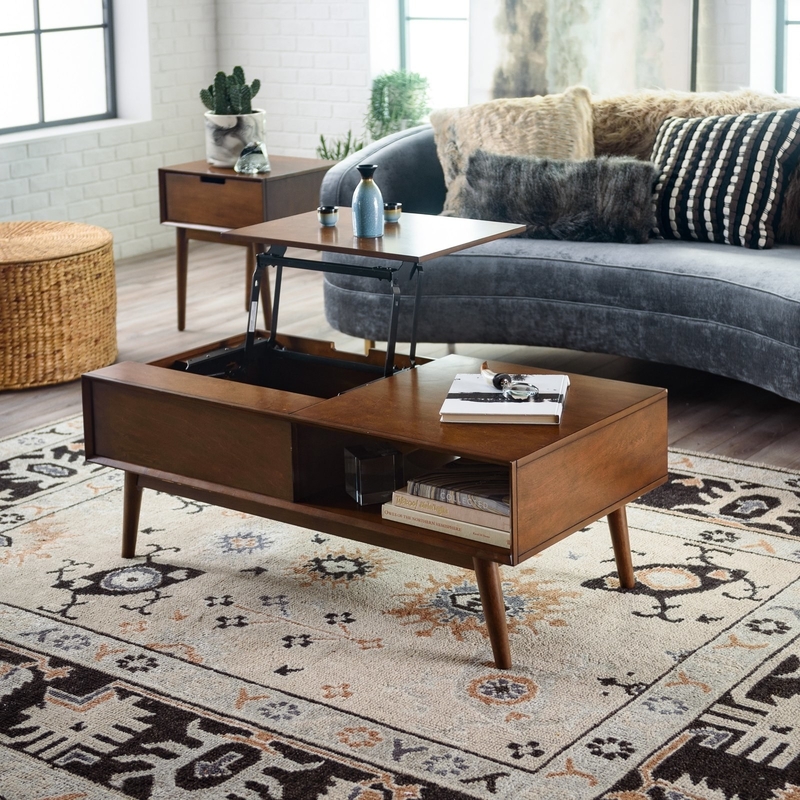 A sleek, statement-making credenza with adjustable shelves and ample storage that will have all your guests asking where you got it. 15. A stylish accent chair because the couch shouldn't be the only thing in the living room getting all the attention. 16. An outdoor bistro set you'll be thrilled to have on warm summer nights and backyard barbecues. 17. A reversible L-shaped desk big enough to organize your office essentials and so stylish you just might want to do your work. 18. 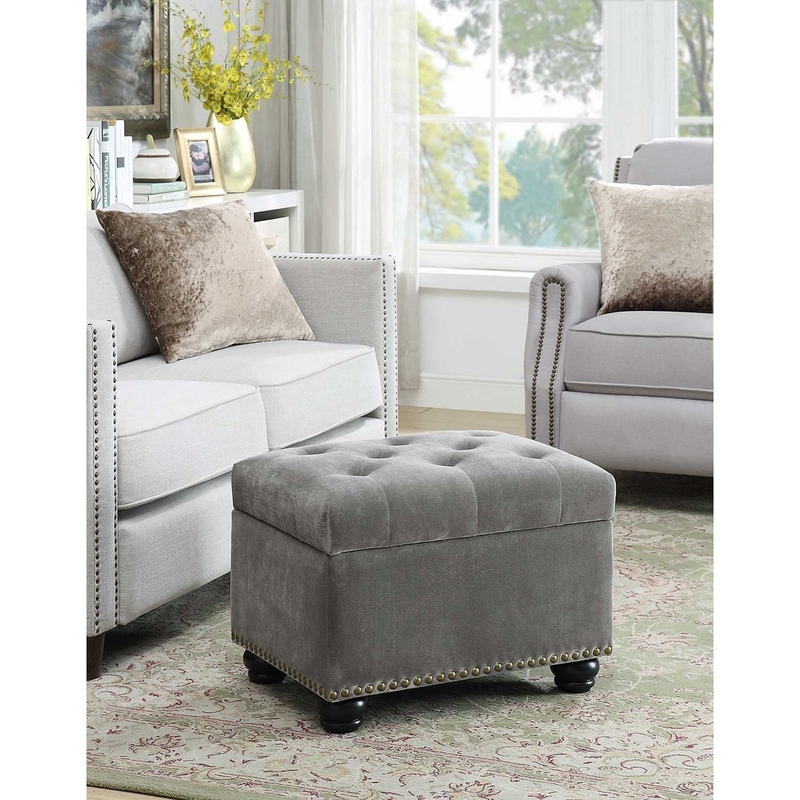 A trendy lil' storage ottoman that'll give you more space to conveniently keep things around the house. 19. A faux-concrete top pub set great for small spaces...and those long days when you could just really use a place to enjoy a stiff drink. 20. A mini mudroom organizer to help solve the entryway clutter that always manages to pile up in like five minutes. 21. 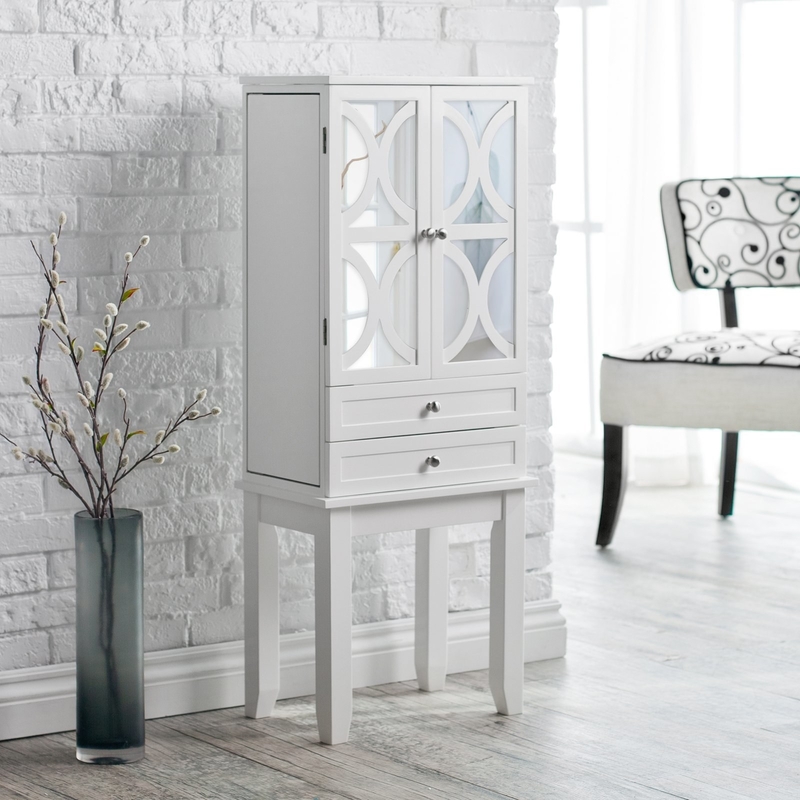 A lattice-front armoire with so many compartments and drawers for literally every style of jewelry that Monica Geller-Bing herself would be impressed with this level of organization! 22. A distressed-copper bed frame that'll add some antique charm to your bedroom. 23. A trusty, versatile love seat you can dress up with fun pillows to perfectly match your apartment's aesthetic. 24. A chic gold end table for adding a hint of glam to your living space or bedroom. 25. A multifunctional cart that'll look just as good in the bathroom as it will in the living room. Use it as a plant stand or for your whiskey collection — get creative, I believe in you. 26. A pair of mid-century modern chairs because plastic furniture can sure as hell be stylish and these prove that. 27. An elegant nightstand you'll never want to live without after you experience the joys of its storage. 28. A narrow console table that'll take up very little space while still being eye-catching. Just place a couple of cute baskets on the bottom and you'll have even more storage for things. 29. An industrial-style dining table set so you can finally throw that dinner party you've been promising your friends. 30. A storage bench with a comfy cushion and sea grass baskets for holding spare blankets, kids toys, or shoes if you place it near the entryway. Yes, this *does* come with the baskets and cushion! 31. A hanging whicker egg chair to transform your backyard into the perfect getaway. 32. A metal daybed and trundle twin that'll make the last-minute overnight guest situation a total breeze. 33. A stunning wood desk for your office that offers storage *AND* style — which is the perfect combination, IMO. 34. A small sectional sofa so you can comfortably cozy up for movie nights, even if you have a tiny apartment. 35. And lastly, a pair of nesting end tables to complete your living room. Here's you hugging your newly decked out house.